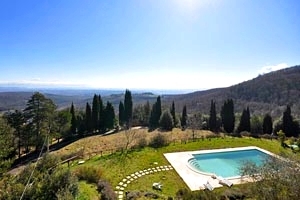 Florenceholidays.com presents a wide selection of holiday villas and country houses for rent in the Chianti district and in Tuscany - villas with or without swimming pool, holiday homes at the sea or in the countryside, apartments in villas, Medieval castles in dominant position and farm holiday apartments. Every year, thousands of tourists visit the Chianti district, spreading in the provinces of Florence and Siena with its gentle hills covered with vineyards and olive groves for the production of the famous Chianti wine and of the Tuscan olive oil, exported all over the world. Chianti is not just a synonym for good eating; in fact, the region is rich in little less-known towns of Medieval origin: precious jewels in a breathtaking scenery. 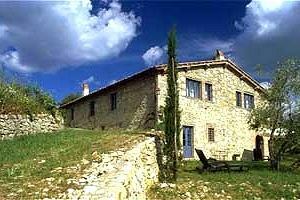 Renting a country house in Chianti is the ideal solution for visiting the wonderful Tuscan hills. Find the accommodation for your next holidays in the Tuscan countryside among the holiday country houses in Chianti we have selected for you in this page and in our website.